Do you need professional movers Chicago to help you relocate your business? We offer this service to all the business owners. A move doesn’t have to be a stressful and nerve-wracking time for you. Our Relocation Consulting team is here to guide you every step of the way. So, whether you are searching for ‘piano movers Chicago,’ ‘pool table movers Chicago,’ ‘same day movers Chicago,’ or even ‘long distance movers Chicago,’ we are the ones to turn to. What is it that makes us stand out from the numerous moving companies in Chicago? This is such an affordable Chicago moving company! – We offer our services at fair, yet competitive prices. Our clients’ happiness is our ultimate goal. You can always get an estimate – our technicians can do an on-site assessment, and we always make sure that an initial assessment corresponds the final result. Are there any licensed movers in Chicago? – At Chicago Packers & Movers – STI Moving & Storage, we have a license and a necessary insurance. Hiring licensed professionals is the best thing to do for transporting your valuables. Also, when you use our service, you get the basic coverage for possible damage or loss. For more information about the insurance, feel free to contact our Customer Support. 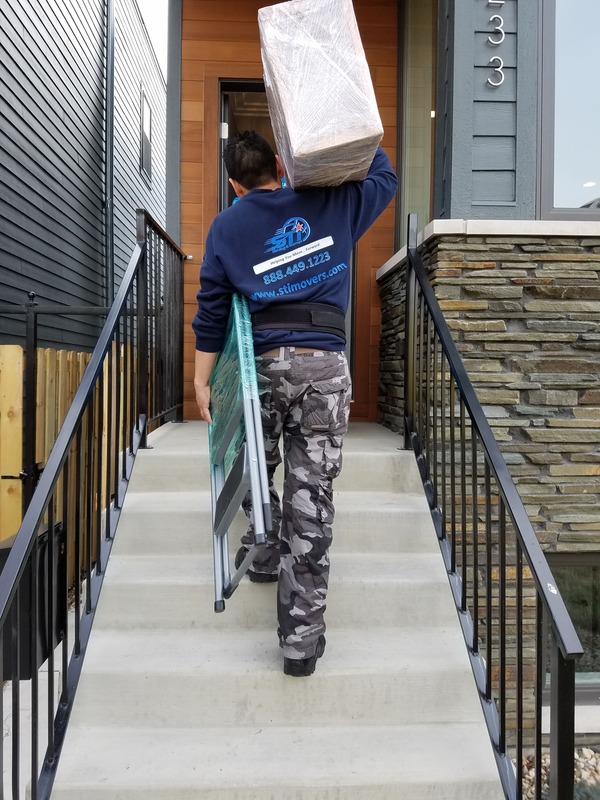 I need experienced Chicago movers – whether you need us to move your belonging inside the Chicago metropolitan area or outside of it, we are the ones highly trained to do both. Our business is over a decade old, and we’ve been providing our customers with only the top-quality services ever since. We have the top equipment and resources to execute either a local or a long distance move, tailored to your needs. Does every Chicago moving company hire laborers? – Our team consists of our trustworthy men who will do a quick, yet excellent job relocating your possessions. We don’t hire contractors but already have our own dependable crew. They are specialized for any kind of move, whether it’s a residential or commercial one. Are you in the Chicago area and searching for professional moving companies in Chicago Il? Then search no more, because we’ve got all you need – trained team, necessary moving supplies, and a friendly spirit. We designed our services to fit each of our clients’ needs for a proper move and storage. Whether you are moving a business or a household, we are here to make it go quick, comfortable, and stress-free. Contact us now at (847) 675-4840 and order an on-site estimate – your Chicago movers are happy to help!